How true is ‘Night’ on Buchenwald? Waltzer’s Boys of ‘Buchenwald’ book? Was Lazar Wiesel a Relative of Elie Wiesel? Please contribute to this work. Readers like you are our one source of income needed to pay website and research expenses. There is much to be done, so do help. Thank you. Would Elie Wiesel have joined Saul Friedlander in threatening to “quit the U.S.” if Donald Trump is elected in November? Primo Levi, on page 27 of his highly-quoted book Survival in Auschwitz, writes that every prisoner had to have a tattoo. “It seems that this is the real, true initiation: only by showing one's number can one get bread and soup.” Without a tattoo, how did Wiesel survive? —Samuel Gringauz, "Jewish Social Studies" (New York), January 1950, Vol. 12, p. 65. Theater J (for Jewish) "caved" to the Nobel laureate when he FedExed a letter to the playwright that his lawyers would make sure her play, Imagining Madoff, featuring Bernie Madoff, Elie Wiesel and a secretary, never reached the stage. According to the Washington Post, Wiesel used the words "obscene" and "defamatory" and added, "Nothing of me is in your script!" The story, written by Ted Scheinman and Jonathan L. Fischer, is here. Holocaust High Priest by Warren B. Routledge, published in 2015. 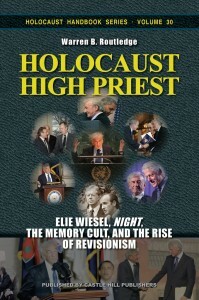 I ACQUIRED THREE COPIES of Holocaust High Priest: Elie Wiesel, Night, the Memory Cult and the Rise of Revisionism, by Warren B. Routledge. I intend to give one copy to the Marshfield (Wisconsin) Public Library (if they accept), the other copy to Stratford Public Library and one is for myself. I was very interested in what the author, Warren B. Routledge, has to say about Elie Wiesel’s book Night, since I also challenged Night on December 1, 1997. At that time I was still a busy teacher, housewife and mother without sufficient time, nor do I have the meticulousness nor the inclination to be as thorough as Routledge. Neither was I ever at Auschwitz, therefore could not cite the mistakes which Routledge points out that Elie had made in describing the location. Mr. Routledge has also done meticulous research on dates which are inconsistent. My earlier challenge kept to what to me were obvious absurdities which Routledge has neglected or overlooked. Thus it may be worthwhile to review my challenge. When Mr. Markwardt, head of Marshfield Public School Libraries, wrote (June 3, 1997): “The German people should suffer a shared guilt that should last many generations,” he invigorated my resolve to fight the gas chamber-holocaust lie. The next generation are my children. Does he and his fellow travelers in spirit really think that I would sit back while they press the mark of Cain on my children’s foreheads? I hereby request that the Marshfield school libraries eliminate “Night” by Elie Wiesel. This is the original “Night” paperback from which the quotes in this article were taken. “Night” is like a Monte Python skit with this difference. In a Monte Python skit the absurdities are funny. In “Night” the absurdities are pernicious and meant to indoctrinate our children with hate. There is the Pythonesque episode of the baby toss. “Babies were thrown into the air and the machine gunners used them as targets.” – Machine guns are not used for target practice , but for sweeping a wide field from side to side. There is the Pythonesque episode of a wildly shooting Gestapo who, instead of shooting at the neck, shot Moshe the Beadle in the leg. “Each one (Jew) had to present his neck … How had Moshe the Beadle escaped? Miraculously. He was wounded in the leg and taken for dead …” – This really must have been a miracle in the truest sense of the word. There is the Pythonesque episode of the copulating youngsters in an overcrowded train. However, there is one difference. In the skit, only cartoon characters are made to copulate. “Free from all social constraints young people gave way openly to instinct, taking advantage of the darkness to copulate in our midst.” – Our high school students are very liberated, but I cannot imagine any of our sweetheart couples copulating in a train so crowded that the act would have to be performed standing up. Much less can it be imagined of these Jewish youngsters brought up within a society of strict sexual morality, a society which did not condone dating but still relied on matchmakers. I think Elie has a dirty mind. There is the Pythonesque episode of Juliek playing his violin in a space so crowded that the dead were heaped upon the living. Elie Wiesel asks: “How had he (Juliek) managed to free himself?” – My question is: How had Juliek managed to get his fiddle out uncrushed, and how was he able to move his fiddle arm in order to play from a Beethoven concerto when at the same time Elie was crushed underneath bodies and had to battle for a mouthful of air? The next morning Elie found Juliek asphyxiated by the crush of people. I am not impressed with the reasoning prowess of most people. But nevertheless we expect a certain amount of reasoning and logic from adults which we do not expect from children. Children are therefore extremely vulnerable to atrocity propaganda. If you leave this book in our school libraries you are not doing right by our kids. My comment: Nowadays everybody seems to be familiar with the entrance gate (it is a gate, not a door) with the inscription: “Arbeit macht frei” (work sets you free). “Work is liberty” is Orwellian like “War is Peace.” How could Elie have made that mistake? I attempt an answer. The French original of “Night” was copyrighted in 1958. During that time neither Auschwitz, Treblinka nor Sobibor were in the news. We Germans were still hammered with the gas chambers at Dachau, Bergen-Belsen and Buchenwald. But slowly a shift took place. The gas chamber stories in the camps on German soil could no longer be maintained. The camps inaccessible behind the iron curtain took their place as extermination camps. Elie Wiesel wrote “Night” before that shift had taken place and was therefore not familiar with the inscription. In the English translation there are no gas chambers. “When he (Bela Katz) heard of our arrival, he managed to get word to us that, having been chosen for his strength, he himself put his father’s body into the crematory oven.” In the German translation it reads: “Als er von unserer Ankunft erfuhr, liess er uns sagen, dass er wegen seiner Koeperkraft dem Sonderkommando zugeteilt und dadurch gezwungen worden sei, seinen eigenen Vater in die Gaskammer zu schieben.” In the German translation “Nacht”, all the crematory ovens of “Night” are turned into gas chambers. Western man has been made irrational. That was a necessity, otherwise he could not have been made to believe in the absurdities of the Holocaust lore. This is to inform you that the Materials Reconsideration Committee of the School District of Marshfield voted to retain the book “Night” by Elie Wiesel on the shelves of the Library Media Center in the Junior High School. You may contact me if further information is needed. Christine B. Miller was born in Bavaria in 1935 and lived through the National Socialist regime and the 2nd world war as a child on her grandparent’s farm. She emigrated to the United States in 1956, went to college, married, raised a family and became a high school German teacher in Marshfield, WI. She has published two books: Reality Check and Feldzug im Osten (Campaign in the East). She was interviewed on The Heretics’ Hour in 2011 and 2012. This essay first appeared in The First Freedom, March 2016. Social Networks: Facebook, Twitter, Google Bookmarks, del.icio.us, StumbleUpon, Digg, Reddit, Posterous. Warren B. Routledge, author of the new unauthorized biography of Elie Wiesel, Holocaust High Priest, has thankfully CORRECTED some statements made by Israel Shamir in an email to Michael Santomauro referring to my May 11 interview with Routledge. The Shamir comment was posted at Santomauro’s Reporter Notebook Yahoo Group. There are many funny and dubious points about Wiesel, but he definitely was an inmate in Auschwitz. I had a good personal friend, a French writer Piotr Ravich (spelling? ), who won the prix Goncourt. He committed suicide in 1970s, was a wonderful man, quite cheerful. So this Piotr Ravich had spent four years in Auschwitz, as much as anybody, and he knew Wiesel there. They belonged to the elite of the prisoners. 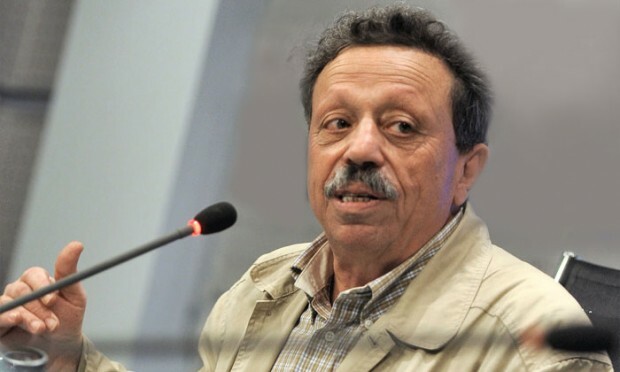 Ravich was a translator and interpreter for the administration. Anyway Wiesel was there. Mauriac played a very important part in Wiesel career, I do not know whether he lusted after him and I do not know whether Wiesel was a gay, but Mauriac’s Catholic faith played a very important part in the story. This is well described in many texts. This is a follow-up to Israel Shamir’s friendly post in response to Frank Scott’s negative comments about my unauthorized biography of Elie Wiesel, entitled Holocaust High Priest. I would just like to add a few comments to what Shamir wrote. His statement that his friend, Piotr Rawicz, “knew Wiesel there,” [Auschwitz] and the assurance he gives us that “Wiesel was there” [Auschwitz] are simply not true. It is possible, however, that Wiesel and Rawicz could have met at some point, however briefly, after the war, when they had each established themselves in the mainstream media as Holocaust camp veterans within just a few years of each other. Ravicz published his one and only novel Le Sang du ciel, a modernist work in the surrealist vein, in 1961, and received the Rivarol Prize (awarded to a writer born in a linguistic framework other than French) for it in 1962. Shamir also states erroneously that Rawicz received the highly-prestigious Goncourt Prize, which is not the case. Wiesel published La Nuit in 1958 and he also received the Rivarol Prize in 1963 for that work and several other short novels published in the early 1960s. Each first novel was translated into English, Wiesel’s as Night in 1960, with another one, by his wife in 2006, which is discussed in great detail in my book. Likewise, Rawicz’s novel was translated as Blood from the Sky in 1964, with another, completely separate, translation in 2004. Shamir states that Rawicz spent “four years at Auschwitz, as much as anybody,” yet Rawicz and his commentators actually only make claims for him being there for two years, from 1942 to 1944, when he was transferred to Terezin. Such reserve is very strange indeed for someone whose career benefited immensely from his aura as a “survivor.” It also stands in opposition, by its prudence, to the outright mendacity and chutzpah of Wiesel who claimed in Night to have seen two massive flaming pits in close proximity to the main gate into which dump trucks were unloading living adults (Pit 1) and living children (Pit 2). Rawicz’s “silence” about his claimed stay at Auschwitz was such that, before his suicide in 1982, he never described what his life was actually like there. Nor did he ever provide any eye-witness information about the alleged German policy of “extermination” there. Wiesel stands in front of enlarged image he falsely claims to be himself in a Buchenwald barrack. 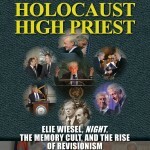 What does it take to light a fire under the guardians of the fixed “Holocaust” narrative and their major champion survivor, the “Holocaust High Priest” Elie Wiesel? 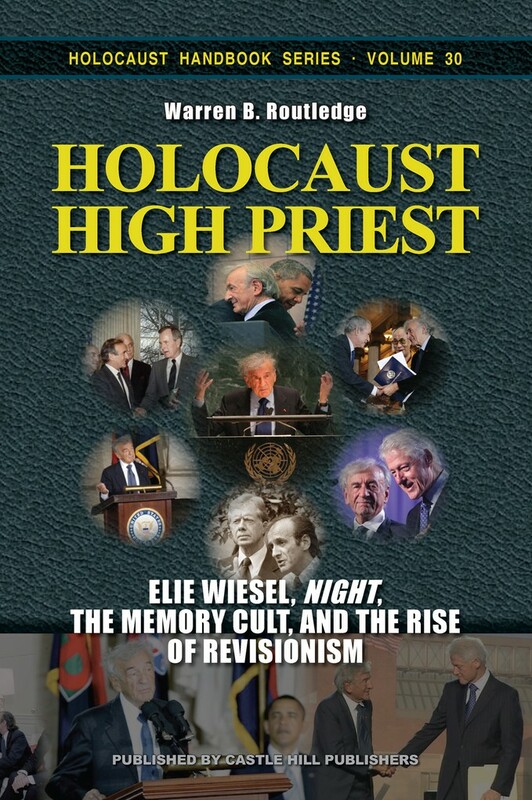 If anything can do it, it will be Warren B. Routledge’s just released, almost 500 page book titled, HOLOCAUST HIGH PRIEST: Elie Wiesel, Night, The Memory Cult, and The Rise of Revisionism. In this book, Routledge shatters the myths surrounding Wiesel that are not allowed to be questioned in the mainstream media. Herein the familiar “Holocaust” narrative is protected as the crown jewel of the New World Order regime that was put in place after 1945 by the victors of World War II. But among all the revelations that occur throughout the book – and there are many, many – none is more shattering to Elie Wiesel’s image than the author’s belief that he was NOT an eyewitness to the “Holocaust” at all. Wow! How to get that across to the American and world public? 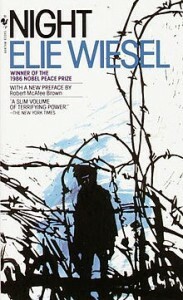 There is an important Appendix at the end of the book which contains an essay by Italian revisionist Carlo Mattogno, translated into English as “Elie Wiesel – The “Symbol of the Shoah.” Following that are the important documents and some photographs that show the reader WHY Elie Wiesel was NOT in the Auschwitz-Monowitz or Buchenwald camps. These documents can also be viewed here on Elie Wiesel Cons The World by clicking on “The Evidence” on the top menu bar. 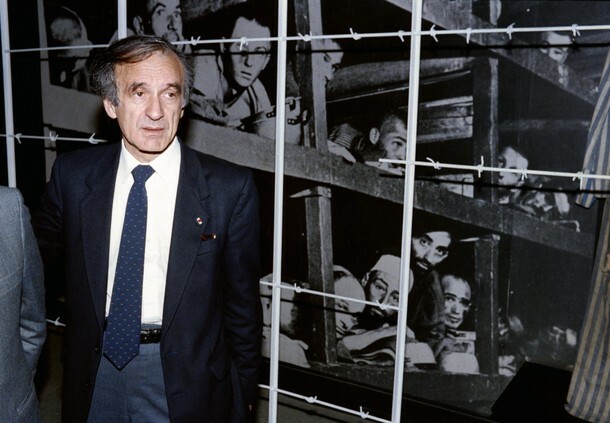 There is no one more famously connected to “The Holocaust” than Elie Wiesel. No one whose association with “The Holocaust” does more to keep its believability alive in the minds of millions, even hundreds of millions, of people worldwide. When it comes to “The Holocaust,” he’s the man! And now comes a lavishly illustrated, unauthorized biography by Warren B. Routledge, who has been studying Wiesel the Myth and Wiesel the Man for many years. This one is not like those “conformist” (as Routledge calls them) bios that we’re so sick of being presented with. This one tells all the truth that he is capable of gathering at this time. But will you learn anything in this book you don’t already know from reading the website you are now on for free? Yes! Because I have already learned things from just the first four chapters, mainly about the time that’s been most shrouded from view – Wiesel’s ten years in France between 1945 and 1955. In addition, the author Routledge, by using his critical thinking and deep knowledge of French culture, puts the puzzle pieces together in a way that adds greater understanding, even in areas where we don’t have exact knowledge of Wiesel’s actions or motives. With regard to Elie Wiesel, Carolyn Yeager’s blog site, “Elie Wiesel Cons the World,” has played an enormous role in recent years by bringing to light a great deal of valuable information about Wiesel. I hope that her work, and that of other revisionists, will continue to flourish. He does, though, end with a short chapter titled “Conclusion: What Is Needed To Happen Now” in which his eighth and final point is that Elie Wiesel should allow the public to see whether he has a tattoo on one of his arms showing his Auschwitz registration number, OR provide a comprehensible (lol) explanation why not. In this, Warren B. Routledge is clearly in agreement with Carolyn Yeager and EWCTW.